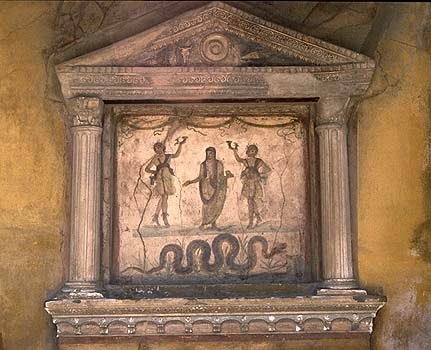 The Lararium is perhaps one of the most important elements of the present Traditional Roman Spirituality. The home Lararium (to be distinguished from other types of Lararium outside the house) is in fact the focus of any private cult. The Lararium is an extremely complex element, rich in very detailed and complex symbolism. A wide variety of symbols and meanings are condensed in it: these symbols are strictly interconnected whose interpretation is not easy for the profane eye. 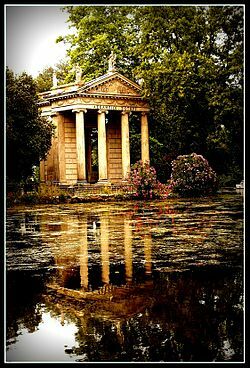 The Lararium firstly acts as a signal: in fact it represents to other men and women that a Cultor or Cultrix lives in this house or a family of Cultores (ie a family in the sacred sense of this term) live in that house. Not only. The Lararium evidences also (and especially) to the Gods and Goddesses that this is a house of a Cultor or Cultrix. This is because a Cultor or Cultrix does not meet the Divine in a church, a mosque or a synagogue. The Gods and Goddesses are not elsewhere, in heaven, sky or in another dimension. They are here around us. The Cultor and Cultrix must be able to receive Gods and Goddesses: and the house is the private dimension by definition. The Lararium therefore indicates our willingness to accept the Divine with us. The Lararium also symbolizes our connection to the Ancestors by the Cult of the Ancestors. Also in this case, it shows a very complex symbolic value that goes beyond the molre superficial aspect of the issue. A traditional Lararium shows two figures (not distinctly male or female): they do not look at each other, but they look outward. At the center is represented the genius or the iuno of the Cultor or the Cultrix. Usually the genius/iuno observes the figure placed on the right. The two figures also have their feet raised in an act as that of dance: it is the representation of the movement of the dance which is linked to generation. To be brief, I omit here all other symbols. In very general terms, this representation symbolizes the duality in particular past-future. In short is symbolized the generational chain of Tradition constituted not only by the Ancestors, but also by future generations. In between is the present (ie us) as a ring that connects the past with the future, the beginning with the end. 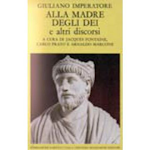 The important thing to note is that in the Traditional Roman Spirituality is emphasized that the beginning and the end are linked, in a very broad sense, to theidea of generation (dancing) or by an act dynamically linked to Love (in sacred sense: Venus) as a force that coagulates, attracts the bodies. Unlike monotheism, where there is a God who alone models the universe and created man, in the Traditional Roman Spirituality the generation of Everything requires the presence of two opposing generating forces through an act of love. In the representation of Lararium is underlined the deep bond between the divine dimension (the two Lares) and the human. The same vital energy permeates all the reality: my genius will move to the divine dimension when the time of my physical body will reach the end becoming a tutelary deity of the future family. For this the genius/iuno looks to the right or to the past. The Lararium then describes an order in which the universe is structured and provides the Cultor and Cultrix with an identity of time and space. 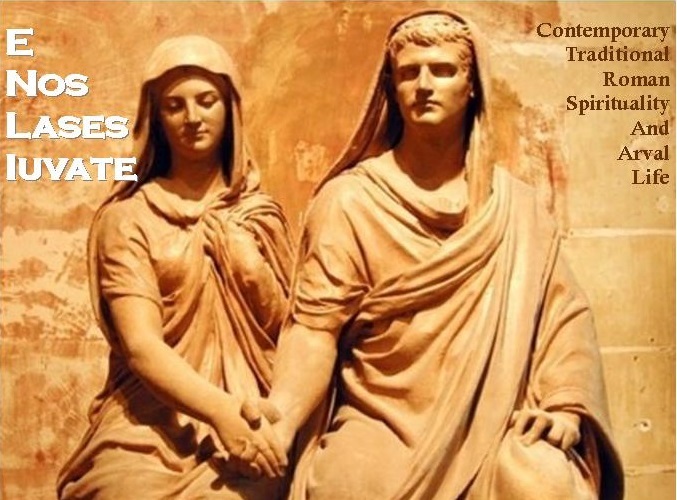 This is because the Lararium describes the concept of generation and transmission (tradition) as distinctive factor from those who does not have this knowledge: it allows you to identify a well defined legacy of knowledge. The narrative of the origins of the universe and time are translated into the microcosmic dimension becoming the narration of the story of the history of a family (and a people united by the same cult). The Universe and Nature are chains of relationships: a Cultor and Cultrix are parts of this chain of existences that pervades everything. The Gods and Goddesses of the world and the universe are represented as the Gods and Goddesses of the ancestors of their genealogy. Ancestors become sacred: the strength of a large tree is given by the strength of its roots. But the Lares describe a bond that connects the beginning of a journey with a final destination: they show a mysterious line that describes a path. A divine energy has started from a point, has materialized in the present (permeating the genius/iuno): but this divine energy will return back to this mythical starting point in a circular process (again the mystical dance). The Lararium highlights therefore the sense of limits, the sense of the "End" that is inherent in the Traditional Roman Spirituality: the cycle of life and death as the only certainty. Pietas in domestic cults describes this bond of reciprocity and the bond between the generations. Parents give life to the children and assist them in childhood. The children, when adults, assist parents in old age and honor them after death. This condition is reflected in the family in the relationship between husband and wife, between brothers and sisters. The Cultor and Cultrix, through Lararium, therefore, indicate that they have undertaken a journey, a mystical path that will lead to a definitive mutation, rebirth in palingenesis. As already mentioned, the Lararium implies more symbolic values. Discussing them now would be too long. I like the way you discuss this topic, which for me is a little controversial. One of the main problems I have with ancestor veneration is that some ancestors just were not very nice people, or were obviously imperfect in some way, and thus not perhaps inspiring a sense of veneration in the conventional use of the term. However having read your post a few times I think perhaps there is room for flexibility here. Perhaps when we accept the role of our ancestors in creating us and we venerate them (in whatever form one is comfortable with) we venerate ourselves and the universe at large. Just as there are deities associated with ugliness, so too there are ancestors that have some ugliness, by accepting this we accept the ugliness in ourselves and overcome neurotic feelings of self-disgust? This is just a train of thought ... I wonder what your attitude to imperfect ancestors is? Thank you for your comment. I think that the topic you cite in your comment requires further analises I cannot do here as a reply. I'll make more reflections about it in a specific future post.